So, you think school is boring? And teamwork in your group an impossible feat? Have you been told that you can´t sing, paint, recite, or perform, because you „have no talent“? Are you fed up with the way things are and just want a change? JOIN us in Project SUPERTRIEDA – SUPERCLASS! Check out the year´s theme. Persuade your class to join a competition to prove that YOU ARE THE BEST of all SuperClasses in your country, in Europe, and in the World. Find a teacher or two who are willing to use SuperClass to give a new purpose to their lessons and make them more interesting, creative, and filled with action. Together, discuss the theme and come up with a story, script, music, performance, scene, costumes, and everything else you need to put on a smashing show! Alternatively, you may create a short movie and present it instead of a live performance. We are looking forward to seeing you on finals in June! whole class must be involved! Teachers and students talk about their SuperClass experience. SuperClass is a competition for school classes in presentation of a musical drama performance or a video-clip, on a given theme. Competitors are expected to come up with an original musical drama performance/ videoclip that will show their own view of the theme. The winner receives the title SuperClass. Theme of SuperClass varies annually and reflects current social issues in Slovakia, Europe and world. New theme for a particular school year is always announced in September. Examples include „Once I get old…“, „Can money change the world?“, „Each of us is a star, together we can light up the sky“, etc. A competitor can be any school class from elementary or middle school, and any group of students from a non-artistic high school*. The competitors are divided into categories by their age. Important: EACH MEMBER OF THE CLASS MUST BE INVOLVED! *High School students are exempt from the „whole class“ rule. High school groups may be formed by students of different age. WHAT IS THE IDEA BEHIND SUPERCLASS? On one level, SuperClass strives to change the way education is understood and practiced. The principle of Schola Ludus, Learning through Play, is not a new one. Yet, despite its undeniable benefits of motivation, creativity, and skill-development, it is seldom put into action. For children, SuperClass is essentially an action game – they cooperate to create a common work, a piece of art – a new world. For teachers, SuperClass is an easy-to-use tool that brings new purpose and motivation into their class. On a different level, SuperClass fights against segregation based on “talent”. According to statistics only 4 % of children in Slovakia are the so-called “gifted”. These are repeatedly being sent to all the championships and competitions, to represent their school, community, or hobby group. They receive help in order to develop their qualities. In accordance with the motto „All The Kids Are Ours“ SuperClass attempts to support also the other 96 % of children and prove that each and every one of them is gifted and has a right to be given a chance to prove this. We are trying to give every child the opportunity to express itself, to try something new, become more emphatic, work on developing its abilities, gain new experience, and form its own opinions. At the same time, we are offering the teachers a chance, that makes their lessons more motivating, goal-driven, active, and creative. WHAT IS THE AIM OF SUPERCLASS? improve the relationships in children communities, to prevent bullying and motivate kids to be active and cooperate with the teacher. 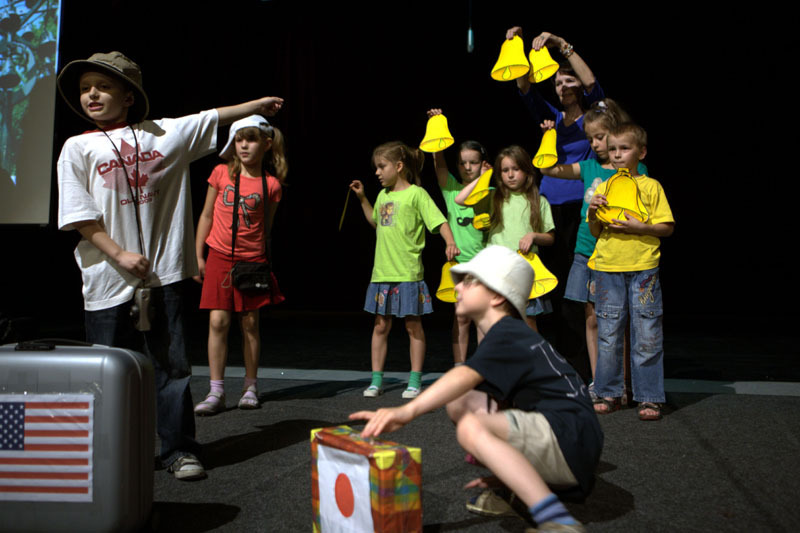 let all the children in Slovakia get a chance to find themselves, their skillfulness, realize that they all have talent. support and further develop creativity of children, their abilities and presentation skills. increase the cultural level of children, teach them to feel, think, create and be happy with life. increase the credit of art studies at schools; make subjects music class, art class, Slovak language, English language, and others more interesting. SuperClass indeed is rather successful. The project is the only artistic-and-educational project from the Central Europe that has gotten into European selection of „Good Practice Model of European Educational Network“ and , via publication of the same name, has been put into notice of all the states of European Union. In addition to that, SuperClass won the „Springboards : Let´s Innovate For Children !“ 2012 Award, after a hundred European education experts elected it to be the best European change-making programme, and it is a part of Ashoka network in Europe. The project has also been successful in gradually spreading abroad – to Romania, Serbia, Ukraine, Hungary, Poland, Czech Republic, Switzerland, and France. In Slovakia, SuperClass is a part of the official state curriculum in arts and music lessons. It is annually offered to all the primary and secondary schools. So far, approximately 30 000 children have participated, along with their teachers. The main reason for SuperClass` success is very simple – it works. By account of the participating teachers, it is an effective means in fight against bullying on schools, it teaches children tolerance, develops their creativity and motivates them to higher school attendance (especially in areas where this ratio is very poor). It allows children experience the power of creation and practicing of arts and music. Moreover, it is attractive not only for the teachers, but also for children themselves – as a meaningful yet fun way of spending a lesson. In addition to that, other people such as the parents, churches, cities` majors often take part in preparing their representative class for the competition, making SuperClass a project that actually activates the general population. Both teachers and academic authorities agree that the project is effective, unique and of a high quality. SuperClass is a non-commercial project. WHO IS THE GUARANTEE/ ADMINISTRATOR OF SUPERCLASS? 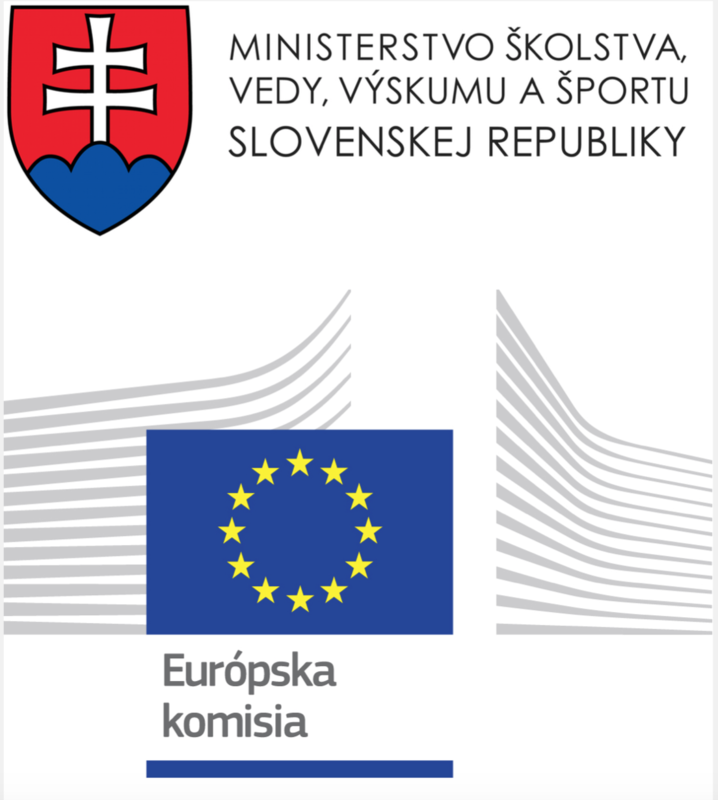 Guarantee of the project: Ministry of Education, Science, Research and Sport of the Slovak Republic. I would like to invite you to apply to The Tech Awards, in the Education category.